International shipment available. Please contact us for details. This is possibly the smallest video camera and photo camcorder in the market! It is as small and light as cigarette lighter. The Mini DV Camcorder records high definition video output size of 640*480 or 320*240 with high-quality crystal clear voice. This product can be used by all and sundry ranging from governmental agencies, private businesses, detective agencies, and private individuals. 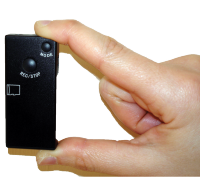 The Mini DV spy camcorder is small enough to be concealed anywhere. This Mini DV Camcorder supports up to 8GB of Micro SD Card - giving you many hours of video recording. You can also take high resolution photos of 1280*1024 pixels. Whatever purpose you use it for you know that the Super Micro-Mini DV Camcorder DV007 captures everything in high-resolution. ® Needs Memory Card to function. This is supplied free of charge. ® No refunds are offered for this item. In case of damage, Dead on Arrival (DOD) Lost parcels, and so on, we shall only repair/replace the item with a brand new one. ® Buying from us you agree to this simple Terms and Condition for this sale. This Exchange policy takes precedence over our previously stated "7 day returns policy"
® The packaging of the item may be slightly damaged due to transportation issues. But this does not affect the functionality of the product. ® All serial numbers of all our product are carefully noted in the event of issues relating to lost parcels, and problems relating to returns, and unauthorized component swapping.